This quick spring salad is so simple to prepare! 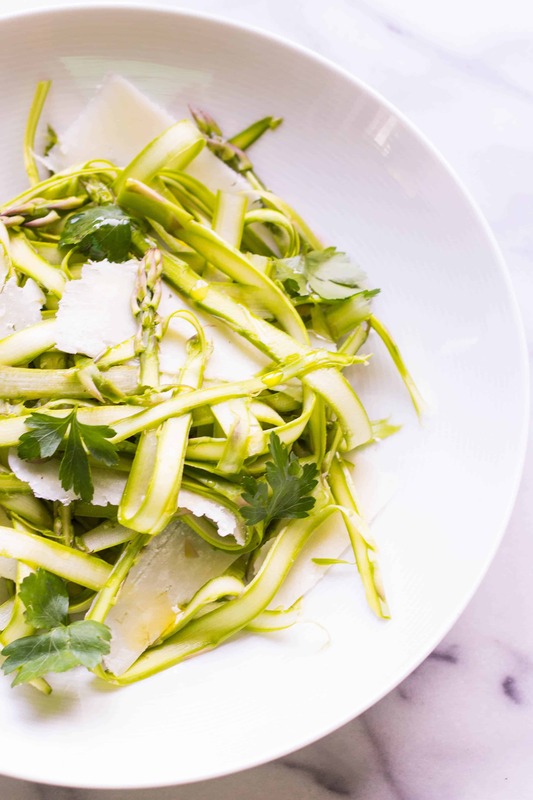 Shaved asparagus and pecorino with a simple lemon vinaigrette and a sprinkle of Italian flat leaf parsley. Last week was a big week here on the wee little island of Brigantine. Not only did we kick off the start of the summer season, it was also the year’s first farmer’s market! Booths we’re bustling with bright red strawberries, radishes, spring onions, greens, lettuces, and lots and lots of asparagus. This salad, in my humble opinion, is one of the tastiest ways to enjoy one of Spring’s finest offerings. Shaved into paper thin strips, fresh, raw asparagus is surprisingly crisp, tender and sweet. Combined with the bright lemon juice and sharp, salty pecorino, it awakens the palate with something interesting and unconventional, yet still familiar. This is simple, seasonal food at it’s best. Watch the video to see how it’s made, then check the recipe for some additional tips! Place the minced shallot and lemon juice in a medium sized bowl. Season with salt and pepper, and let marinate while you prepare the rest of the salad. 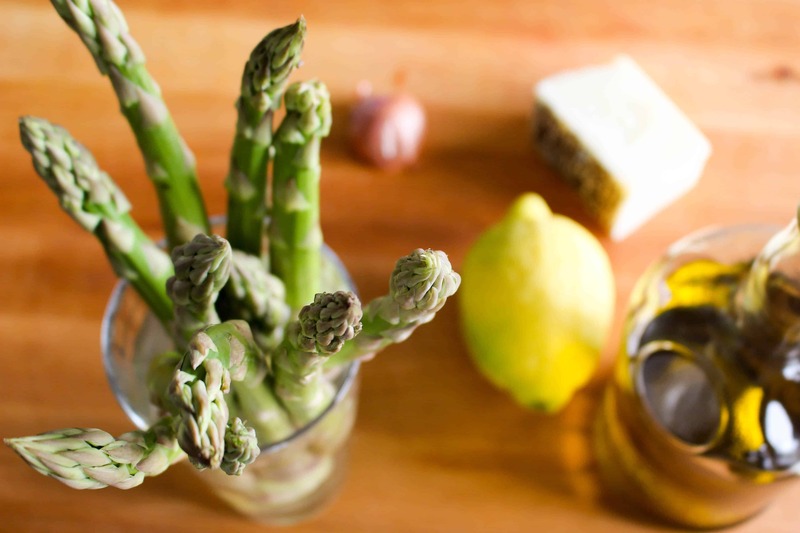 Cut the tough ends off the asparagus, then use a vegetable peeler to shave long, thin strips. Slowly stream the olive oil into the bowl with the shallot and lemon juice as you whisk to emulsify. Add the strips of asparagus to the bow, then use clean hands to gently toss. Plate the asparagus on a serving platter or split into 4 individual dishes. Use the peeler to shave big shards of pecorino over the top. Scatter the parsley leaves around, if desired. Serve immediately. Leftovers do not hold up well. Choose asparagus with thick stems for this recipe. The thicker stems have a more mellow, sweeter flavor, and the pencil thin spears are nearly impossible to shave. I recommend storing asparagus in a tall glass of water, like cut flowers. They will last longer. Parmesan can be substituted for the pecorino, but I prefer the sharpness and saltiness of the latter. Loooooove pecorino! And asparagus! Totally making this over the summer. I LOVE asparagus and I LOVE Percorino Romano! Not so sure about raw shallots but they can always be sauteed in a little olive oil.. right? Oh… and that asparagus trick at the end? I think you just made up a new party game! hehehe! I can not wait to try this. Looks refreshing. Hope you do – so simple and satisfying! Don’t fear the raw shallots! After they sit in the lemon juice for a bit they really mellow out- it’s almost like pickling them. 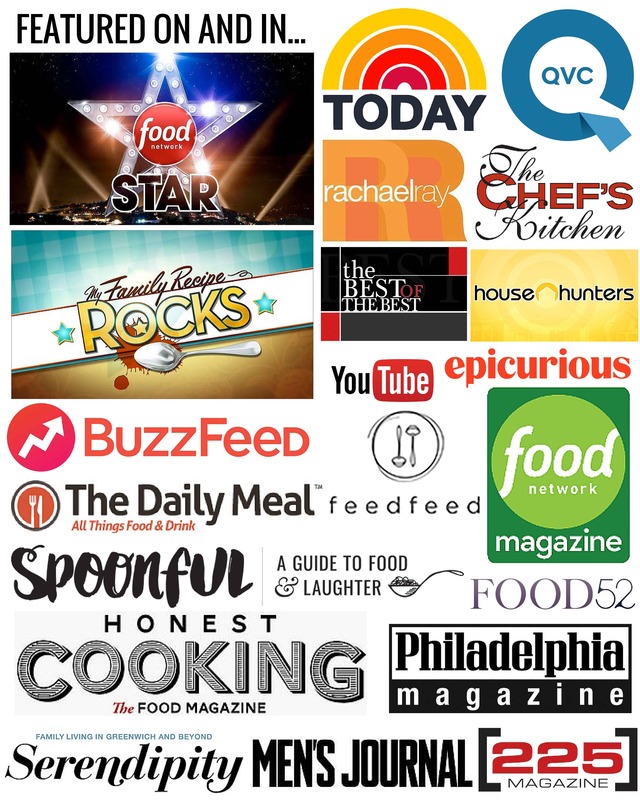 They also leech their flavor into the dressing – don’t skip it! You can saute them, but will change the flavor of the salad, as it will sweeten them up quite a bit. Plus, then you’re just dirtying more pans and making life more complicated! YUM! I am all about simple, fresh flavors like this. And yay for markets! I am in Florida and ours is about to shut down for season because it is SO hot…wah. Oh, what a bummer! Things are just kicking off up here. I guess thats why “snowbirds” exist! Thank you!! It’s so great raw, light, sweet, crisp and refreshing!